ความรักได้เติบโตขึ้นในที่ที่ไม่มีความรักเหลืออยู่ เหมือนดอกไม้ที่โตในตม และทั่วทั้งเมืองก็พยายาม ทำลายความงามที่เมืองนี้ไม่มี แล้วเมืองนี้จะมีความสุขอีกครั้งได้ไหม? 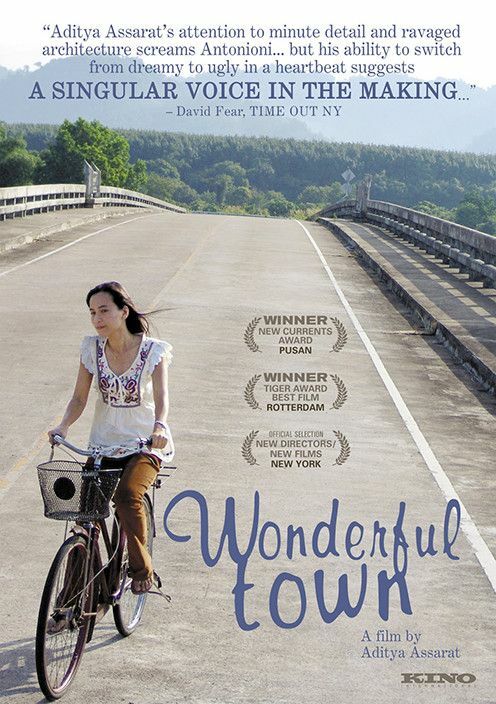 This 2008 Rotterdam International Film Festival Tiger Award–winner is set in the backwater town of Takua Pa, near the Andaman Sea coast of Southern Thailand, where the 2004 tsunami killed thousands of people. Ton is an architect from Bangkok assigned to supervise the reconstruction of a beach hotel. He puts up at a plain, very quiet hotel in town and soon discovers that a pall of sadness hangs over the locals. Na, the beautiful young woman whose family runs the hotel, is one of the few people to respond to him. The residents are clearly "haunted" by the tsunami and the unpredictability of fate, and a mood of misfortune clings to the green, picturesque hills even on the sunniest day. When a tentative romance blossoms between the laconic man and woman, a ray of hope appears amid the gloom. But Na's brother Wit, leader of the bored youths who endlessly cruise the local roads on their motor scooters, sees Ton as a threatening outsider. Please help contribute your support for me to buy new movies to upload to this site by clicking on the banners below. I've tried to find other alternative non adult banners, but most banner networks will reject warez type of site like this. Please understand my decision to put the banners here. I'm testing out banners and pop-under from Adcash. Hope it won't be too much of an inconvenience. Please click if you'd like to contribute your support.